It's the rumor Oracle can't quite confirm or deny until the Sun Microsystems deal is completed: During the Oracle OpenWorld conference (Oct. 11-15, San Francisco), speculation mounted that Oracle was preparing an Unbreakable Linux offering that features the MySQL database -- and targets Microsoft's Windows Server-SQL Server combo. Here's more about the Oracle-MySQL chatter. It’s the rumor Oracle can’t quite confirm or deny until the Sun Microsystems deal is completed: During the Oracle OpenWorld conference (Oct. 11-15, San Francisco), speculation mounted that Oracle was preparing an Unbreakable Linux offering that features the MySQL database — and targets Microsoft’s Windows Server-SQL Server combo. 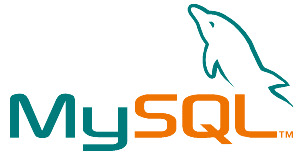 Here’s more about the Oracle-MySQL chatter. As you’ll recall, Oracle will potentially get its hands on MySQL, the open source database, through the pending Sun Microsystems acquisition. Initially, some skeptics suggested that Oracle will need to spin off MySQL in order to earn the European Union’s regulatory approval for the Sun takeover. But Oracle denied the spin-off speculation in late September 2009. Plus, during Oracle OpenWorld, CEO Larry Ellison reinforced Oracle’s commitment to MySQL — stating that the database giant may even wind up making a few bucks off the open source database. Also of note, former MySQL CEO Mårten Mickos has sent a letter to the EU recommending they approve the Oracle-Sun combo, including the MySQL component. Still, the most interesting chatter occurred out on the OpenWorld exhibitor floor, where rumors of a forthcoming Unbreakable Linux-MySQL bundle were the talk of the show. Most Oracle partners expect an Oracle-MySQL push to target Microsoft’s lucrative Windows Server-SQL Server combo. Not by coincidence, Ellison and Sun Co-founder Scott McNealy insisted that MySQL competes with SQL Server — rather than Oracle’s own database — during their OpenWorld keynotes. Oracle’s existing Unbreakable Linux effort has generated headlines, but it hasn’t exactly slowed momentum over at Red Hat Inc. If the OpenWorld speculators are right, MySQL could soon become part of Oracle’s Unbreakable push. But first, Oracle needs to win regulatory approval for the Sun acquisition. Follow The VAR Guy via RSS; Facebook; Identi.ca; Twitter; and via his Newsletter; Webcasts and Resource Center. Plus, check out more channel voices at www.vartweet.com.